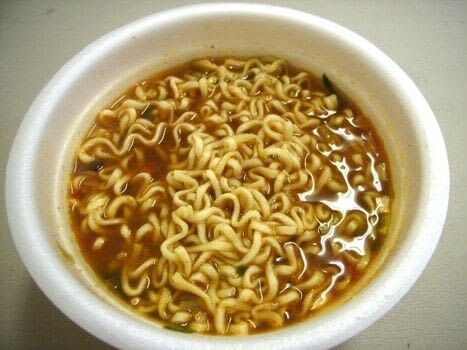 Easy And Quick Way To Make Noodles :) · How To Cook Noodles · Recipe by Sonia M.
Cut all veggies (U can use any vegetable, which you like). I generally use tomatoes, onions, cauliflower, capsicum, and anything else which i can find in my kitchen. Take a wok (or any vessel which is sort of rounded so that it can hold water). Put some olive oil ad once its sort of warm put in all your veggies together along with a few cut up chillies. Fry until the veggies soften. Once the color becomes sort of dark, add in water (as much as you want it in our noodles). Add noodles and few more green chillies (if you like your food spicy). Let it boil for 5 mins amd then keep it for abit longer on low flame. Serve in a bowl with soup spoon and fork. Garnish with coriander. Mmmmm....I'll have to make this!! Sound good! !